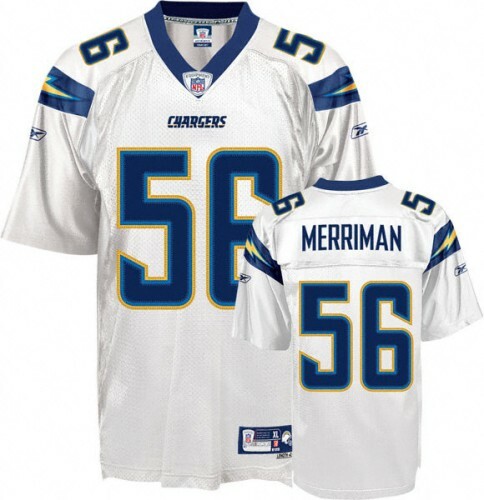 Youth Small 26"-28 Youth Medium 30"-32" Youth Large 34"-36" Youth XL 38"-40"
Reebok San Diego Chargers Shawne Merriman White Premier NFL Jersey. The high quality NFL Premier jersey is made of heavier fabric, with nylon diamond weave mesh. This team colored jersey showcases the embroidered NFL Equipment patch at the point on the v neck collar and a team specific jock tag at the lower left front above the hem. The officially licensed Premier jersey proudly displays the sewn on, single layer tackle twill team graphics at the chest, back and sleeves.